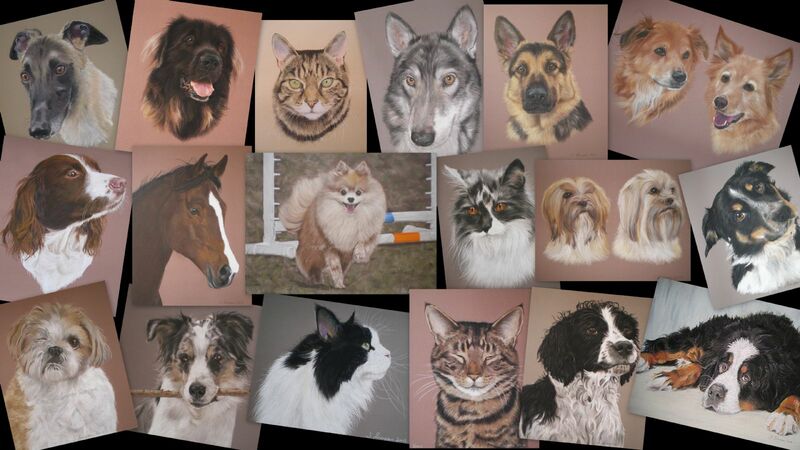 Once you've decided that you would like to commission me to do your special portrait for you I need to see your photographs to make sure they are suitable. I require clear and detailed photos. If the pet is deceased I will do my best with what you have. It's very rare I have to turn people down. Photos can either be emailed to me, as large files, to jo90simpson@hotmail.com or you can post your photos to me (please contact me for the address to post to) If posting I would recommend sending in a card backed envelope by Recorded delivery, especially if you're pet is deceased and therefore your photos are precious. They will be returned immediately if unsuitable or with the finished portrait if suitable. I do sometimes ask if you can take more photos. Remember the better the photos the better the portrait. Once I have your photographs I require a 25%, non refundable deposit. This secures your commission on my work sheet and I will give you an approximate start date. Without a deposit I cannot do this, so if you're portrait is for a specific date please bear this in mind. The balance and postage costs are payable on completion when you have approved your portrait. If you need the portrait quickly for a special date I will, where possible, do my best to accommodate you. 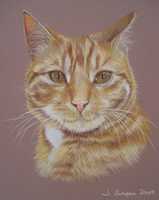 In this instance I would need the full payment and postage at the time of ordering so that as soon as I've completed your portrait there is no delay in despatching it to you. If you have email I like to send progress updates at various stages so that you can see the portrait 'grow'. I've found that this works really well and involves my clients in the portrait process. If you have any questions at any time please don't hesitate to contact me. COMPLETION TIMES VARY DEPENDING ON THE SIZE OF YOUR PORTRAIT AND THE NUMBER OF SUBJECTS. FOR EXAMPLE AN 8X10 INCH PORTRAIT WILL TAKE ME BETWEEN 13-16 HOURS TO COMPLETE WORKED OVER 3 DAYS. I CAN ADVISE YOU OF AN ESTIMATED COMPLETION DATE WHEN ORDERING. I retain copyright to all portrait images. I do use images for advertising purposes, other than on my websites and online galleries and merchandising unless you specifically ask me not to do so at the time of ordering.